While the advancement of photography steadily progressed from daguerreotypes, through calotypes, wet plate collodion, dry gelatin plate, on to celluloid film, one aspect of this progress was a constant – the images obtained were monochromatic or gray scale, exhibiting a tonal response from white through gray to black. All of these methods failed to address a key limitation posed by the silver-based emulsions they all shared. They did not capture the natural world as the human eye perceived it – in color. The photographic community was keenly aware of this limitation from the start. The first approach to add color to images was via hand coloring or tinting to the images after development. 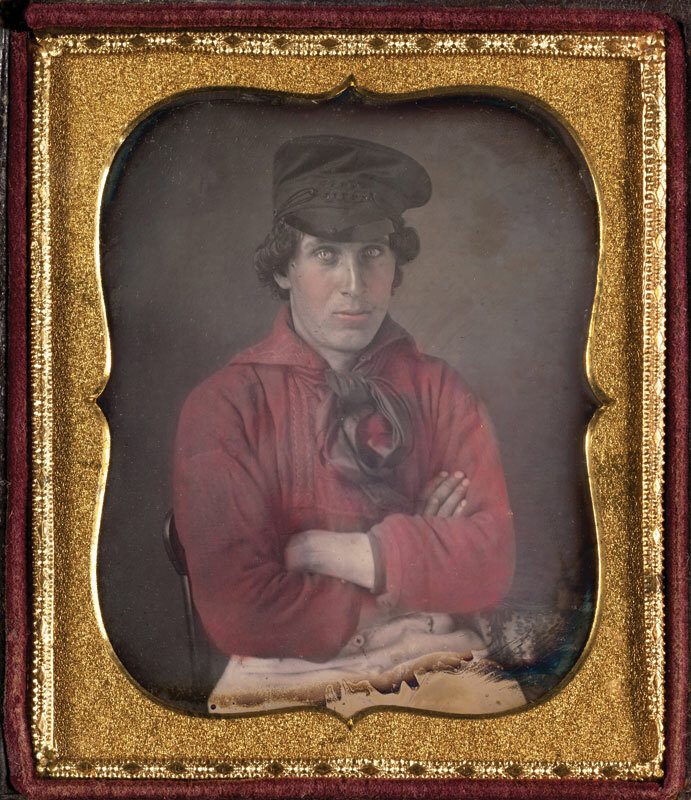 Daguerreotypes were colored via direct hand painting on the gilded or varnished daguerreotype, or by applying transparent tints to selected portions of the image and fixing them by heating the plate. These print coloring efforts continued with later paper-based print images, via various methods of tinting or hand coloring the developed prints. While these means could impart at least an artistic aesthetic, if not a greater sense of realism to many images, it is obvious they could not be counted on to faithfully record the actual colors of the original scene. Early photographic experimenters were teased with glimpses of what might be possible. In 1840 Sir John Herschel reported a limited ability to record red, green, and blue colors on silver chloride papers, but these colors could not be fixed and faded to black under lamplight. Edmund Becquerel and Nièpce de Saint-Victor attempted to record colors directly on daguerreotypes from late 1840-1860, via a process called heliochromy, but these images too could not be fixed. In 1851, a New York Baptist minister, Levi L. Hill, claimed to have developed a direct-color daguerreotype process, called hillotypes, but his achievements appear to have been made by accident and he could not replicate the process. The real birth of true image capture of color began in 1861 through the efforts of the famed Scottish physicist, James Clerk Maxwell (Maxwell’s equations, and his theories of electromagnetism, are considered the “second great unification in physics,” and lay the foundation for the fields of special relativity and quantum mechanics). More relevant to our interest, he published award-winning color theory papers from 1855 to 1872; he proposed that if 3 black-and-white photographs of a scene were taken through red, green, and blue filters, by projecting the images onto a screen using three projectors equipped with corresponding filters an accurate color reproduction of the scene would be achieved. 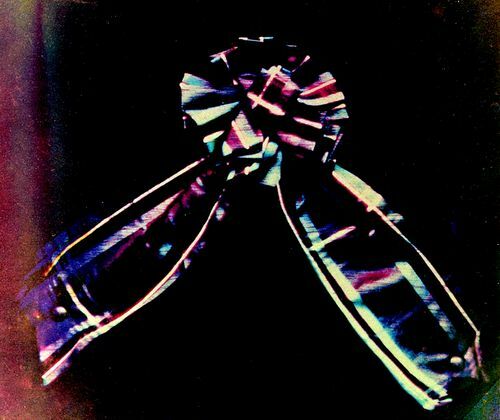 Maxwell in fact demonstrated this in 1861 at a Royal Institution lecture on color theory, with an image of a tartan ribbon. Because the photographic emulsions of the time were orthochromatic, highly sensitive to blue light, marginally to green light, and almost completely insensitive to red light, the results were not perfect, but the theory was shown to be sound. Maxwell’s color theory was based on the additive theory developed by Thomas Young and refined by Hermann von Helmholtz. Additive theory holds that red, green, and blue light is mixed to form any color in the visible spectrum; when mixed equally, they appear as white light to the human eye. This theory is also the basis for how LED, LCD, plasma and CRT color video systems work, as well as how digital camera sensors electronically record colors. This is known as the RGB color model. In contrast to the additive process is the subtractive method, where primary colors are subtracted from white light by dyes or pigments. In photography, the red filtered image is used to make a cyan dye image; the green filtered image yields a magenta dye image; the blue filtered image creates a yellow dye image. When these three dye images are superimposed they produce a complete color image. This is known as the CMYK color model, where the “K” comprises a black component to compensate for imperfections in the colored inks used in ink-jet and other mechanical printing processes. One of the best-known early photographers to employ these principles was Russian photographer Sergey Prokudin-Gorsky, known for color images made between 1909-1915 of the Russian Empire (over 3500 images) and his color portrait of Leo Tolstoy in 1908. 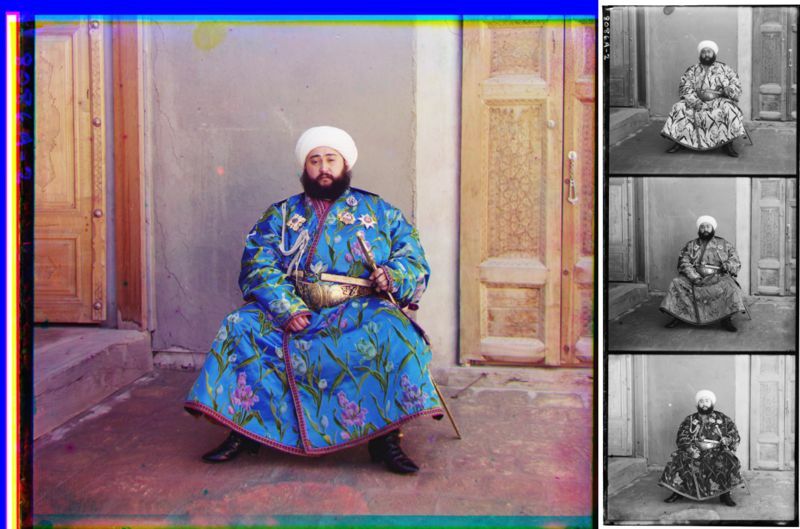 Prokudin-Gorsky made his images via a demanding process, each image made from three exposures, one each with a red, green, and blue filter. These three exposures needed to be perfectly registered to avoid color fringing; these images could be taken in sequence with a tripod-mounted camera, or via specially-designed triple image camera that employed prisms, or beam splitters, to simultaneously record all three filtered images on one plate. While the results, as in Prokudin-Gorsky’s case, could be excellent, the technical demands were very high. Numerous color process variants were developed in the late 1800’s through the early 1900’s that utilized an additive screening process. These include the Dufaycolor (Diptichrome), Finlay, Paget, and Joly processes. In these screening processes, a filter screen comprising the three additive primary colors, red, green, and blue, was placed in front of a silver-based negative plate. The screens employed a variety of patterns or matrices to filter the three primary colors; some patterns were parallel lines, others were crosshatched, etc. After exposure, the negative plate was contact printed onto another negative plate to create a positive transparency (reverse-processed). This transparency could then be viewed through a viewing filter that corresponded with the image-taking filter, which would yield an image rendering reasonably accurate color. The primary disadvantages of these systems were the long exposure times required, image degradation due to artifacts of the filters themselves (visible lines, etc.) and the exacting image and filter registration required to render the colors correctly. In 1907 the French Lumière brothers began marketing their patented Autochrome Lumière color plate photographic process. The Autochrome was an additive mosaic screen plate process. The medium consisted of a glass plate coated in a random mosaic pattern with a layer of microscopic grains of potato starch, dyed red-orange, green, and blue-violet. These randomly distributed dyed grains acted as filters, with lampblack, a fine black powder, filling the spaces between the grains. This one-grain thick layer was sealed, and then coated with a black-and-white panchromatic (sensitive to all colors of light) silver emulsion. When exposed in the camera, the colored grains filtered the light before reaching the silver emulsion. The plate was then reverse-processed into a positive transparency. Since the silver emulsion grains and the mosaic of starch grains remained in precise alignment throughout the exposure and development process, when the transparency was illuminated, the grains of the silver image acted as a micro-filter, allowing more or less light to pass through the adjacent starch grain, reproducing the original distribution of the three colors. 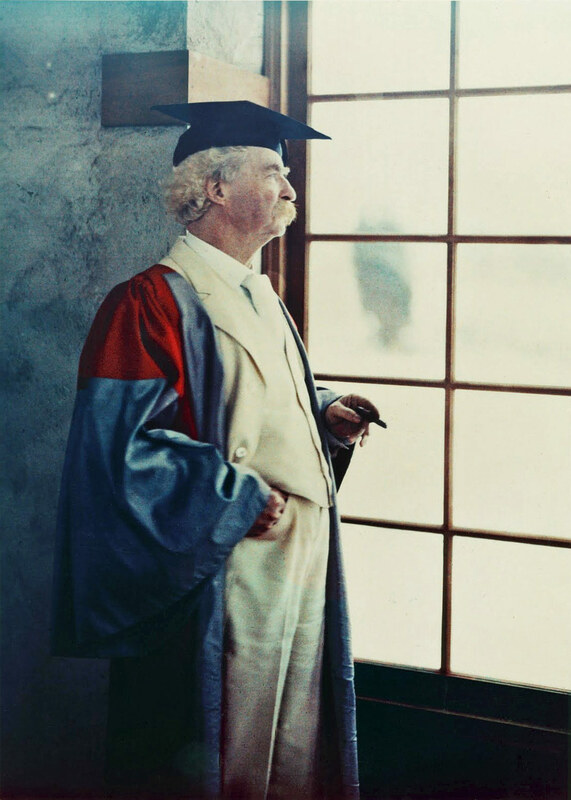 Because of the light lost through the filtering, Autochrome images required longer exposures than equivalent monochrome emulsions, and were thus relegated to static versus moving subjects. Autochromes were not well suited for projection; the high heat of projector lamps tended to discolor the plates. They were best viewed using devices called diascopes, which used daylight, as from a bright window, to backlight the Autochrome plate for individual viewing. Because they were especially designed for daylight use, and because the starch grain colors do not coincide exactly with the color filters used in modern color films or digital sensors, it is difficult to accurately copy Autochromes today and keep the color faithful to the original plate. While the starch grains were somewhat coarse, they imparted a painterly, or pointillist effect, to Autochrome images. Autochrome glass plates were manufactured through the 1930’s, when they began to be supplanted by film-based versions. The technical advantages of the chromogenic color film process spelled the end for the Autochrome, but French loyalty for the process remained until manufacture of the final film version, Alticolor, was discontinued in 1955. This is the seventh installment of an ongoing series on the history and development of the art of photography. It is inspired by the History of Photography class taught by Professor Jeff Curto in the College of DuPage Photography Program. While not a slavish copy of his work, I freely admit to following his general course outline and sharing many of the perspectives he has developed. I would encourage anyone with a greater interest in this subject to follow his course online via video podcasts, at http://photohistory.jeffcurto.com.